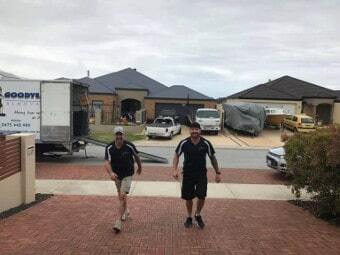 Are you moving out and in need of a local removalist in Perth? Look no further, you’re in the right place. Welcome to Goodyear Removals and Transport services. We specialise in house and office relocations. So why stress and do all the work yourself when you can let us do all the heavy lifting! Goodyear Removals and Transport is a local family-owned company whose main objective is to deliver the best possible customer service in relocation and other transporting services. Not all removals company are the same! We are fully equipped with the right tools and backed up with years of experience to ensure your next move goes smoothly without a hitch! Whether you live North of the River or South of the River, Goodyear Removals can help. No job is too big or too small for our team of expert removalists. Why not give us a call today on 0475 442 980 to discuss your options and for a no obligation 100% free quote. Moving out? Don’t stress! Goodyear Removals will make your next house move a breeze. No job is too big or too small. Is your company relocating? We can help! Goodyear Removals and Transport specialises in commercial relocations. Too much clutter? Need some storage space? 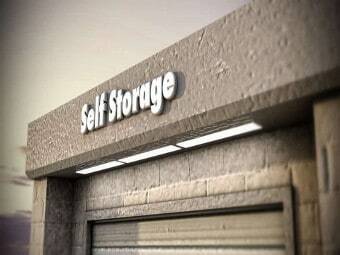 We offer simple short-term and long-term self storage options. Call us today! 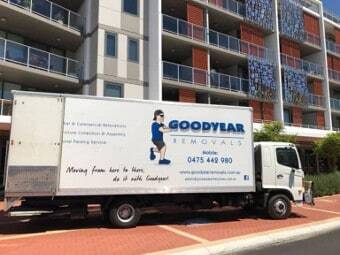 Goodyear Removals and Transport are a family-owned and operated based in Perth. Just like you, we are local people who live, eat and breathe everything Perth! Being a local company, we know the Perth metropolitan area like the back of our hand! Therefore we can guarantee that your next move will be efficient and trouble-free! For a superior and reliable removal and transport service, choose a local - choose Goodyear Removals and Transport! At Goodyear Removals, our primary aim is to make sure that we provide the best possible customer service. Our highly experienced staff are here to ensure that you are well looked after from the very beginning. In fact, we welcome any feedback you may have so that we can continuously improve our service to you. Please contact us directly on 0475 442 980 or email us at admin@goodyearenterprises.com.au and we will reply as soon as possible. We understand that you want the best quality service at a fair price. That is why we are happy to offer competitive pricing without sacrificing quality to help make your move that much easier. No job is too big or too small. To discuss all options available to you or to secure a spot, please contact us. If you are after quick quote please fill in the form found on this page or just give us a quick buzz. We are waiting for your call! Of course, our expert advice with regards to moving are free!